Like buildings the condition of a stretch of trackwork can represent a snapshot of various aspects of railroad history. 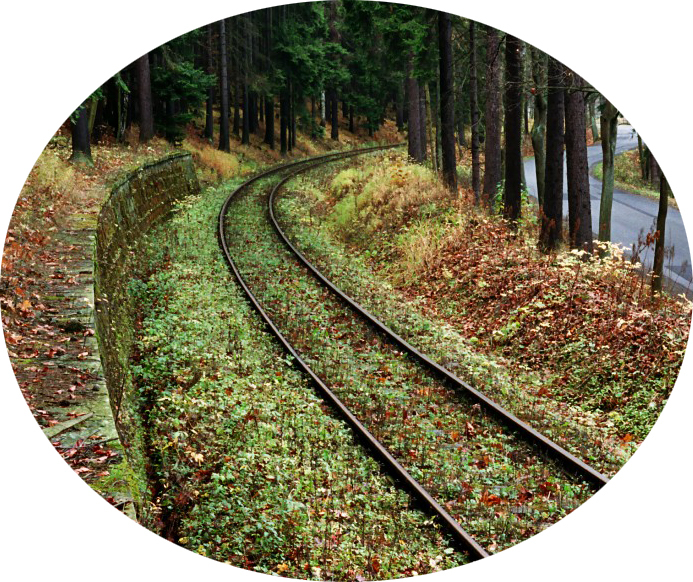 It can represent the current financial condition of the railroad, it can reflect the importance of the industry being served to the railroad, it can represent weather history, and the behavior of the surrounding landscape over time. Grassed over trackwork. Such a nice effect – full of color and character. An effect that I want to model soon. When looking at small stretches of poorly maintained trackwork I’m always fascinated by the range of weathering and landscaping effects that can occur from tie to tie. 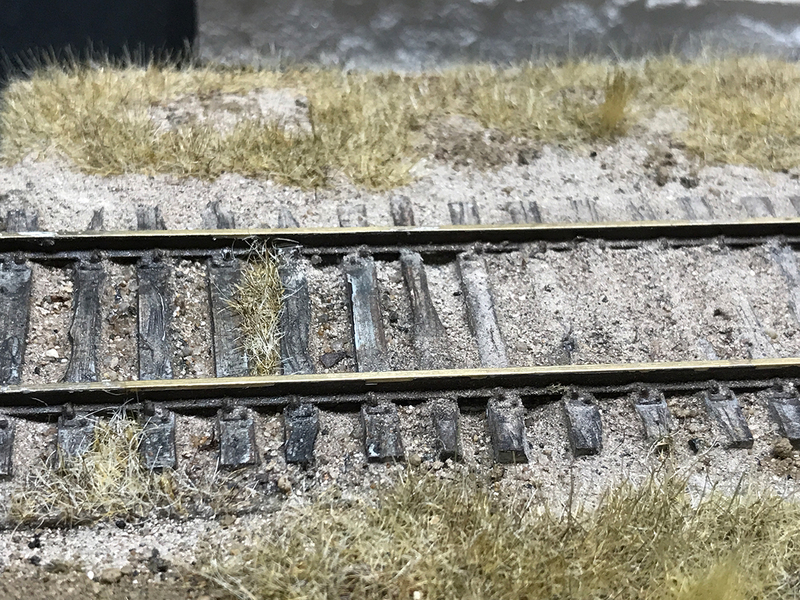 A small five-tie stretch of track can look very different to the next five ties as some weathering or damage event may have occurred to the first set but not the second. Individual ties can vary – some may be splintered, some may be split, some may have moved around, some may be covered in oil, others in dust, others in soil. Some stretches of track get buried in soil, others in grass and sometimes ties and trackwork are embedded in a roadway or path. As a modeler I’ve been very disappointed by the fact that so few modelers attempt to model these effects. My dissatisfaction began years ago with copies of the British Railway Modeler within whose pages I would find examples of exquisitely built structures and rolling stock alongside clunky, poorly ballasted commercial trackwork. This ‘ballerina in boots’ effect ruined the overall scene for me and placed the model firmly in the realm of toy train. Luckily I wasn’t the only dissatisfied modeler in the UK in that period and much work was done in various quarters of the hobby in the UK (mostly in the 1980s) to rectify the situation. 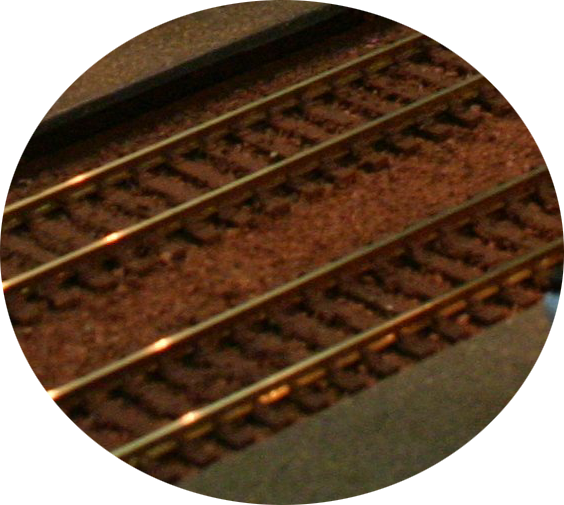 Modelling organizations were either formed or took up the challenge and started producing prototypical parts for modelers to create their own much more realistic trackwork. Standards rose quickly and some beautiful models with fine-scale (and fine-looking) trackwork started appearing at last. I’m trying to protect the innocent here by obfuscating the layout and I’m not about to criticize this model but it has a perfect example of clunky commercial track that makes the model look more like a toy. The rest of the model including the structures and landscape are marvelous by the way. British finescale track under construction. From an engineering point of view – almost perfect – but will the ballast, wear and tear and landscaping also closely follow the prototype? We’ll see. Oh boy. This is the Mount Everest of rickety old track. I would love to find a way to model this! So that’s what started me down this little four week project – the desire to model some of the character rich stretches of track that I’ve photographed or viewed in books. I’m going to spend this week discussing this topic and showing how I approached modeling various effects. Here’s a quick view of a piece of track I produced. I’m going to discuss how I created this piece and three others. 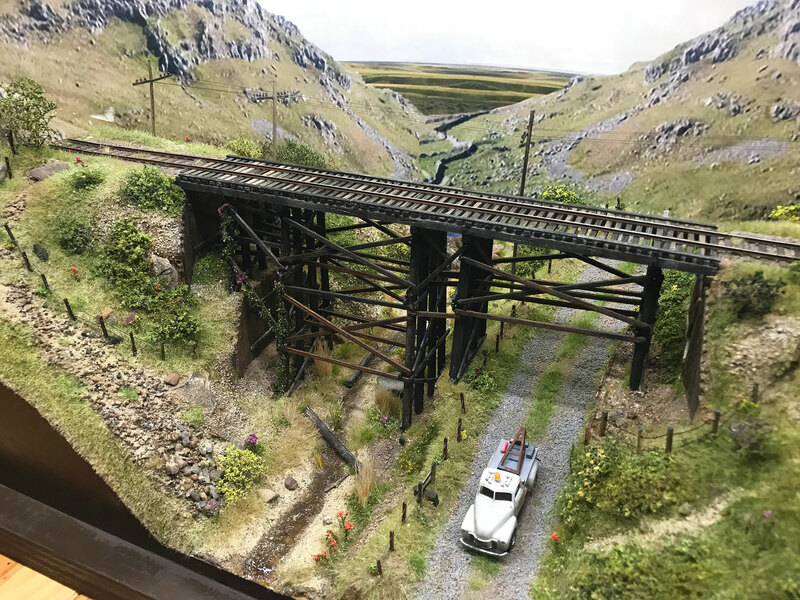 I used commercial plastic flexi-track (Atlas code 83 – HO scale) as the foundation of this scene.